When Is Day of Madrid 2019 in Madrid? The Day of the Autonomous Community of Madrid (Fiesta de la Comunidad de Madrid, Dos de Mayo) is a public holiday in the autonomous community of Madrid, Spain, on May 2. It marks the anniversary of an uprising against French troops on May 2, 1808. Is Day of Madrid a Public Holiday? Day of Madrid is a public holiday in Madrid, where it is a day off for the general population, and schools and most businesses are closed. 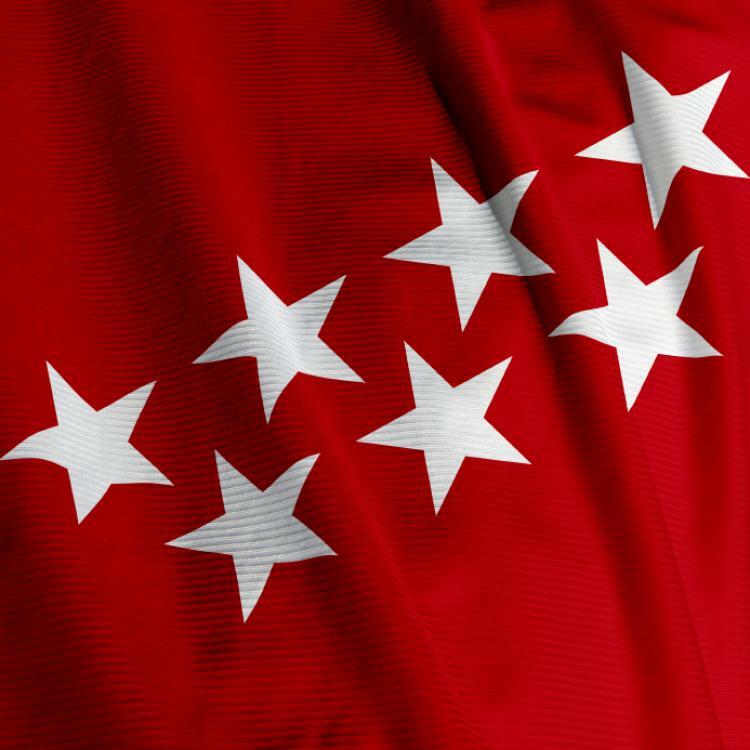 The autonomous community of Madrid's flag is red with seven white stars. Police and military parades in the city of Madrid. Street parties and communal meals. Local celebrations in districts of the city of Madrid and surrounding villages and towns. Some people take a short break or longer vacation, as many people do not have to work on May 1 and 2. Popular destinations include cities in Spain and other European countries. The Day of the Autonomous Community of Madrid is a public holiday in the autonomous community of Madrid. Public life is generally quiet on May 2. Many businesses and other organizations are closed. Many stores are closed but some bakers and food stores may be open. Public transport services generally run to a reduced schedule but there may be no services in rural areas. Large events may cause some local disruption to traffic, particularly in the center of Madrid. If May 2 falls on a Sunday, regional or local authorities may move the public holiday to a different date. May 1 is Labor Day and a public holiday in the whole of Spain. Hence, if May 1 and 2 fall on a Tuesday and Wednesday or Wednesday and Thursday, many businesses and organizations in the autonomous community of Madrid are also closed on Monday, April 30, or Friday, May 3. The Day of the Autonomous Community of Madrid is not a public holiday in the rest of Spain. French troops occupied a large part of Spain in early 1808. They gained control of Madrid on March 23, 1808. The people of Madrid rebelled against the occupation on May 2, 1808. The French troops brutally repressed the rebellion. These events sparked the Spanish War of Independence that lasted until April 17, 1814. The autonomous community of Madrid is in the middle of Spain. It has borders with the Spanish autonomous communities of Castile-La Mancha and Castile and León. The Madrid region became an autonomous community of Spain on March 1, 1983. May 2 has been celebrated as the Day of the Autonomous Community of Madrid since 1983. The autonomous community of Madrid's flag is a rectangle 11 units wide and seven units high. It is bright red with seven white stars. The stars represent the seven administrative areas of the autonomous community and the seven stars of the Ursa Minor constellation. This constellation is clearly visible at night in the Madrid region. The Spanish painter Francisco de Goya recorded the events of 1808 in two paintings. These are known as "The Second of May 1808" or "The Charge of the Mamelukes" and "The Third of May 1808". The paintings now usually hang in the Museo del Prado in Madrid.